Today when I was driving thru the narrow lanes of Karol Bagh to avoid the main road rush, I spotted this small shop with lot of samosa ( my weakness ) and many customers sitting inside. Got curious to try it out since I visit Karol Bagh too often for work. Actually thislane runs parallel to Pusa road. You can enter this lane from Jessa Ram Hospital side. There are only few shops there so you can easily make out where this shop is. The shop is quite old .Only one old guy manage it. He said that samosas were being fried and I have to wait for 10 minutes. 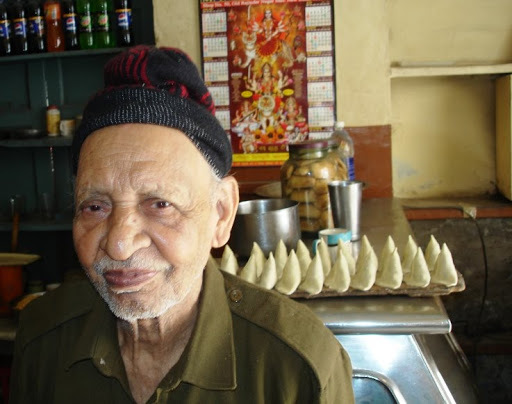 This old man enjoys customer loyalty so much so that people actually comes from as far as Trans Yamuna to eat his Samosas. One customer told me that he has came from Malka Ganj only to eat Samosa. Now coming to the Samosa,s the main reason why it is famous is because they do not fill the mashed potatoes, but they cut them into small pieces, roast them and then fill them. Samosas are quite light with not much oil , the old man had taken his sweet time to fry them, this ensured that the crust was nice and crispy. The potatoes has subtle spices, nothing over powering the flavor, every bite and experience in itself. 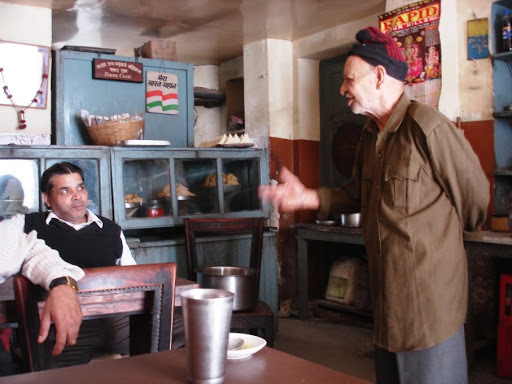 After having smosas I start chatting with Old man , Pandit Ji who is basically from Rani Khet but came to Delhi in 1942. The shop war originally owned by his mama ji and he worked with them since the beginning. Mama Ji died 5 years back and now at the age of 86 he alone managing this shop. 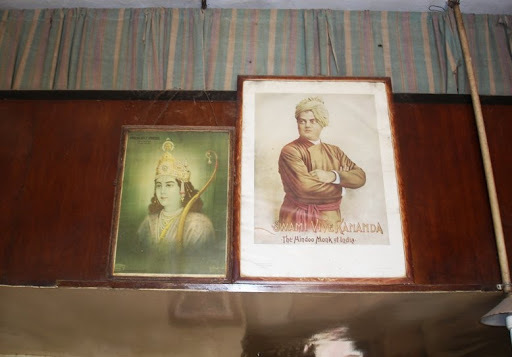 He also told me that Pandit Nehru and Sardar Patel were the big fan of his samosas and visited this shop several times. Wife of Somnath Chatterji also visited this shop for his Sondesh ( Bengali sweet ). He has 5 daughters , one of them in US and another one working in Delhi Police. 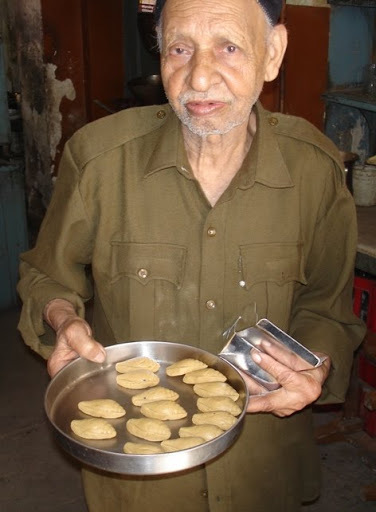 He also offered me some Sandesh made from “Kajoor Ka Gud”.